[Supervising Agent Rosalinda Huey & two of her minions harassing roadblock monitors near Arivaca, AZ in March 2014]Back in March, I wrote a short blog entry regarding residents of Arivaca and Amado in Southern Arizona who have come together to form People Helping People In The Border Zone. 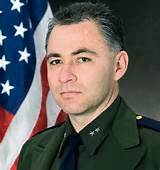 After suffering years of harassment, intimidation and overtly illegal acts by U.S. Border Patrol agents operating several suspicionless internal roadblocks in the area, residents formed the organization in order to seek answers to their questions, research the effectiveness of the roadblocks for their alleged ‘lawful’ purpose and ultimately to hold the Border Patrol accountable for the actions of its agents. After two years of letter writing and petitioning got them no where (something I’m quite familiar with), the organization decided to take a more active role and gather the data they were seeking by directly monitoring checkpoint operations themselves. 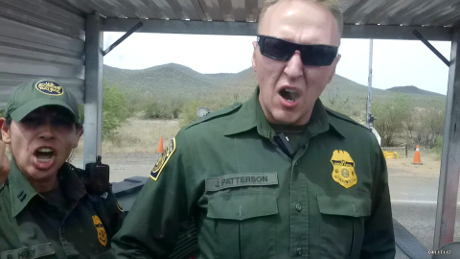 Quite expectantly, the Border Patrol responded by harassing the monitors, illegally threatening them & illegally interfering with their first amendment protected activities. In response, the ACLU got involved and after documenting the violations, filed a formal letter of complaint with Tucson Sector Chief Patrol Agent Manuel Padilla. The complaint included a detailed description of the illegal harassment and first amendment violations, a legal analysis of the situation and a recommendation to cease & desist or face legal consequences. What happens next of course is largely dependent on how the Border Patrol responds (assuming it responds at all) to the formal complaint. If history is any guide however, there wont be any surprises there. “The monitors were approached by Supervising Agent Rosalinda Huey who informed them they were within Border Patrol’s “zone of operation” and needed to stand behind the boundary. The monitors responded that they ahd returned to the same location to which they had been directed by Pima County Sheriffs on February 26. Agent Huey stated that if monitors did not move, Border Patrol would call Pima County Sheriff. The monitors objected and remained in place. From here, the harassment picked up in earnest with agents parking vehicles in such a manner as to block the view of roadblock operations and to blow exhaust fumes into the faces of monitors. The complaint also details examples of agents allowing non-affiliated individuals into the roadblock’s operating area in order to harass monitors while refusing to give the same access to the monitors. Of course none of this is surprising given the documented abuses of Border Patrol agents at roadblocks and via roving patrols in Southern Arizona but it does demonstrate whats wrong with empowering Border Patrol agents to stop, seize, detain, interrogate & seek to search people absent suspicion no where near the border they’re paid to patrol. Given the time line and the exposure, it makes one wonder if Agent Huey wasn’t re-assigned to a different roadblock in Southern Arizona in order to take her out of the spotlight for her first amendment violating actions near Arivaca only to run into me at her new assignment. As such, it looks like the Border Patrol might be taking a page out of the playbook of other organizations that like to shuffle people around to new locations after they’re caught engaging in illegal acts at their original locations. 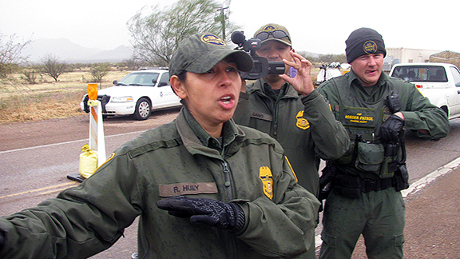 A quick online search for Agent Rosalinda Huey indicates she has also served as a PR mouth piece for the Border Patrol in the past. Perhaps moving her to a new location in Arizona after violating the rights of roadblock monitors near Arivaca was just thanks for a job well done down-playing or hiding information from the public that demonstrates the Border Patrol in a bad light while she served as a public relations officer.